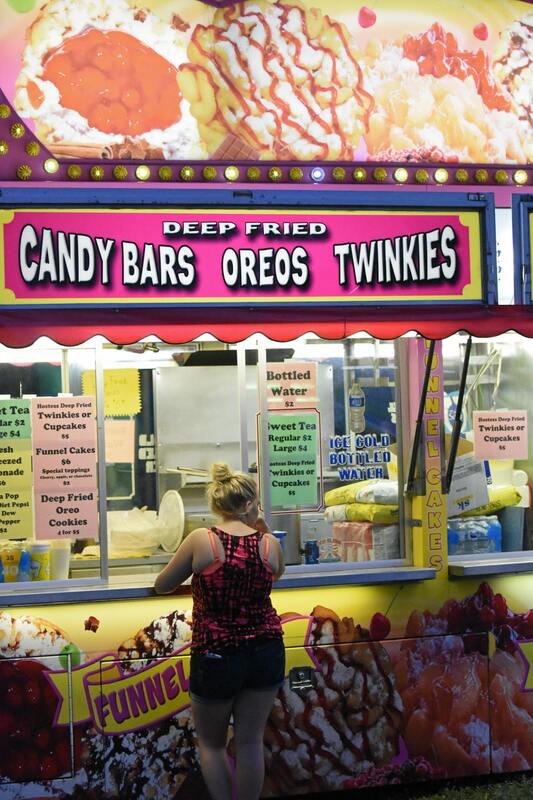 Tending a deep fryer was a hot way to make a living Tuesday at the Crawford County Fair. Photo by Don Tudor. 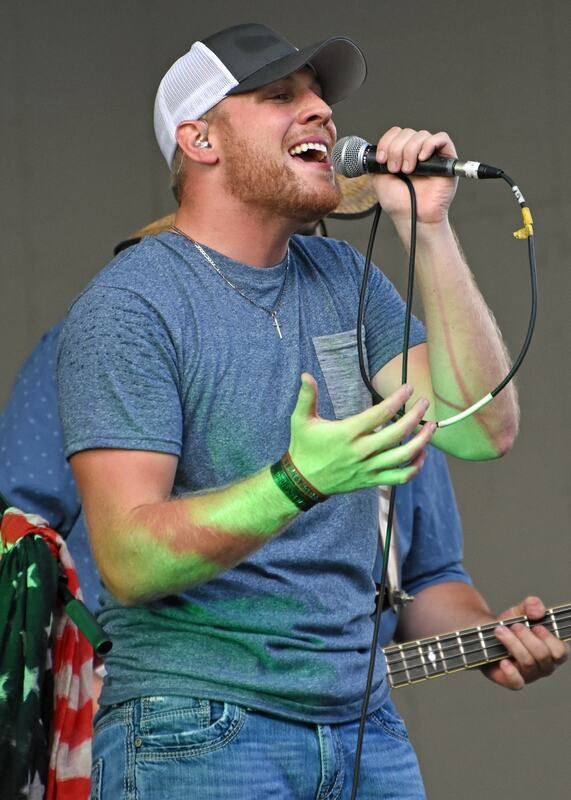 Eric Sowers was as cool as the other side of the pillow during his performance at the Crawford County Fair. The Sycamore native was a fan favorite Tuesday night. Photo by Don Tudor. If it had been a nice spring day Tuesday at the Crawford County Fair, perhaps it wouldn’t have been so hot. Photo by Don Tudor. “Just a trim around the ears, please. 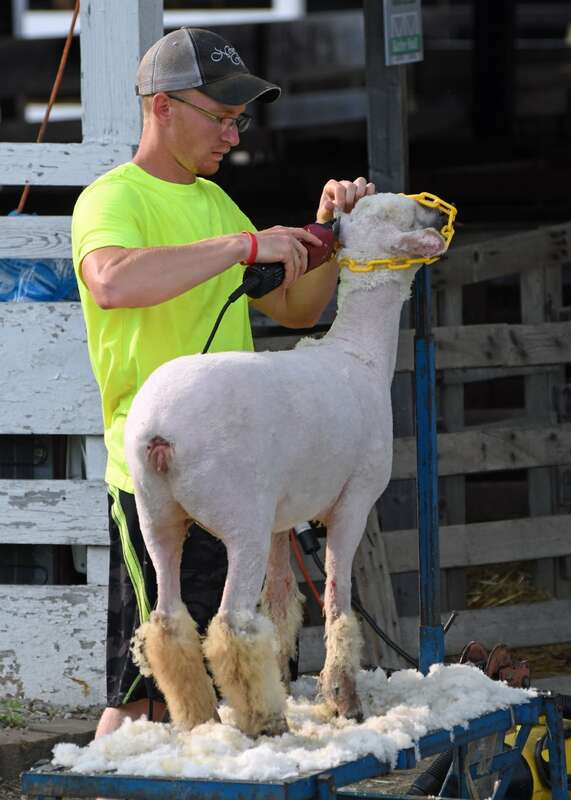 I’ll take off the wool socks later,” said the sheep as it primped Tuesday at the Crawford County Fair. Photo by Don Tudor. 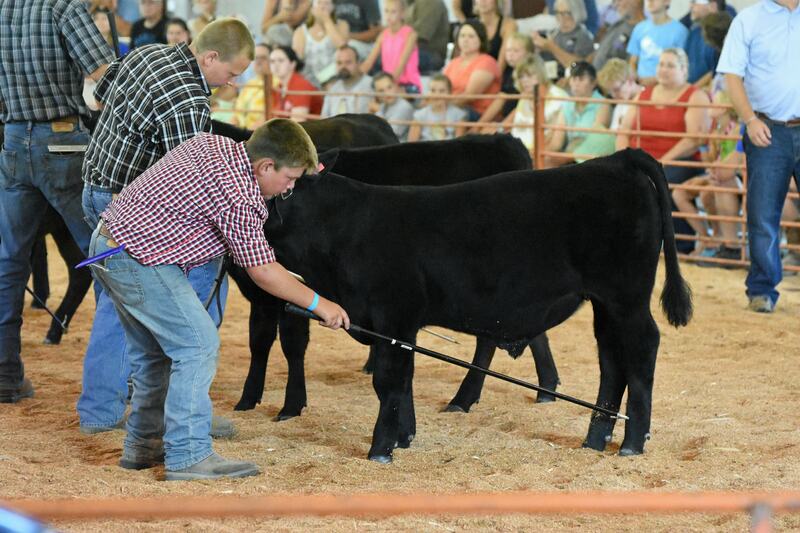 Contestants in beef showmanship try to get their cattle to assume the position Tuesday at the Crawford County Fair. Photo by Don Tudor. 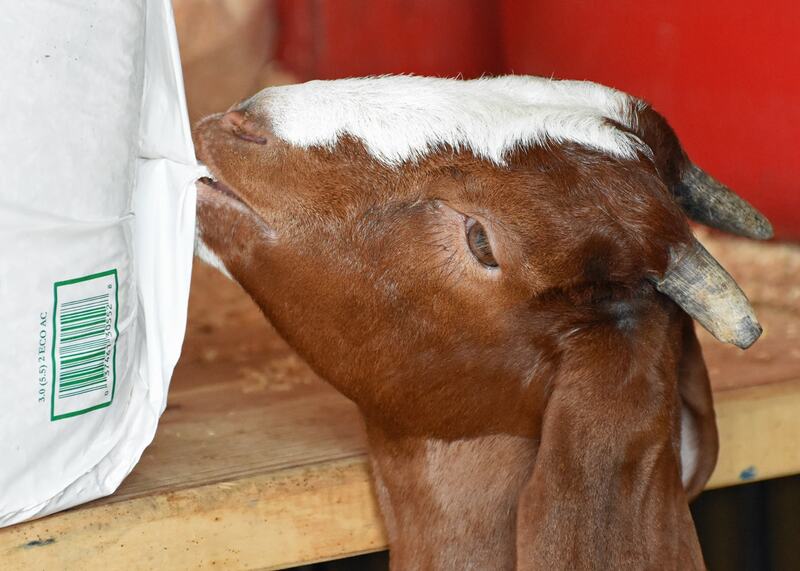 What harm could one little nibble do Tuesday at the Crawford County Fair? Photo by Don Tudor. 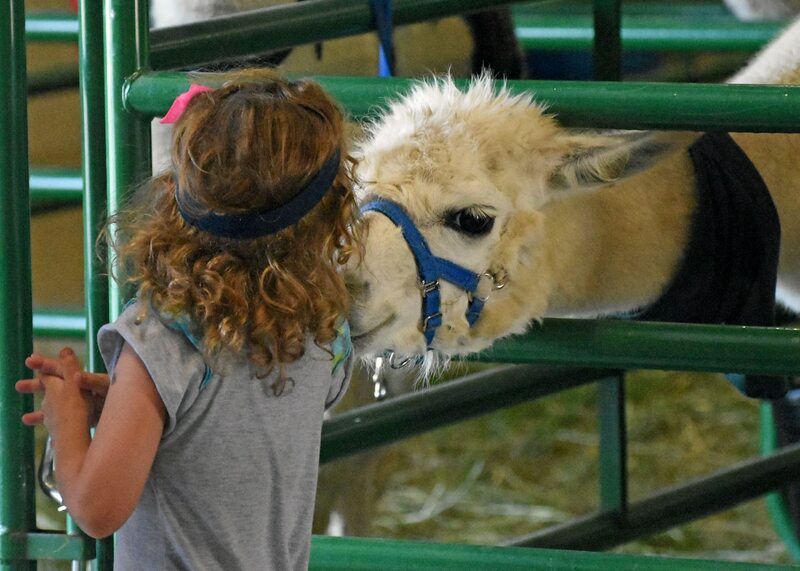 Well, if that little nibble is your hair … Toby the alpaca tried to sneak a snack Tuesday at the Crawford County Fair. He is owned by A. J. Price of the Crawford County Denim & Paws 4-H Club. Photo by Don Tudor. 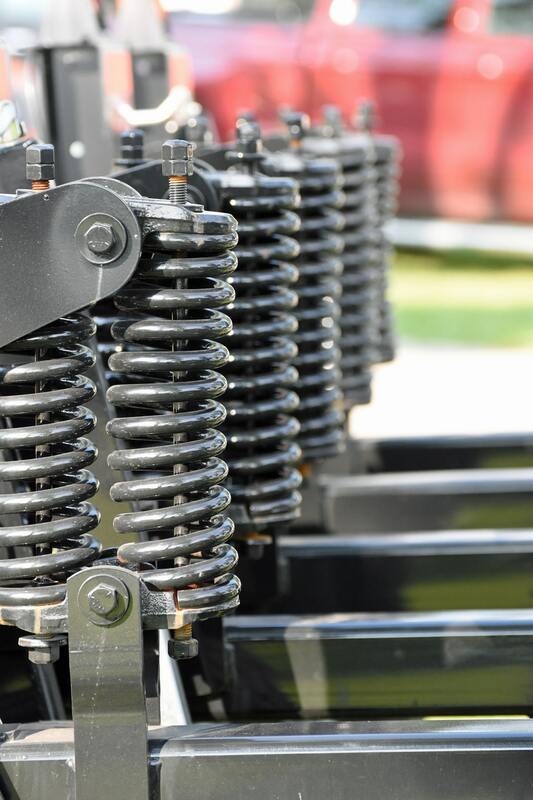 Farm implement dealers were trying to track down customers Tuesday at the Crawford County Fair. Photo by Don Tudor. 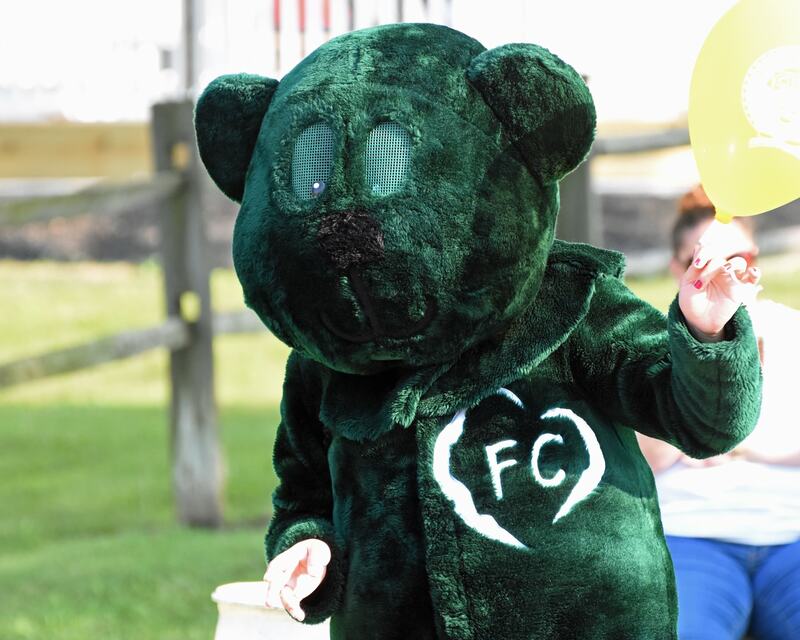 Most people couldn’t bear to be inside a hot suit like this, but not this intrepid Farmers Citizens Bank employee Tuesday at the Crawford County Fair. Photo by Don Tudor. 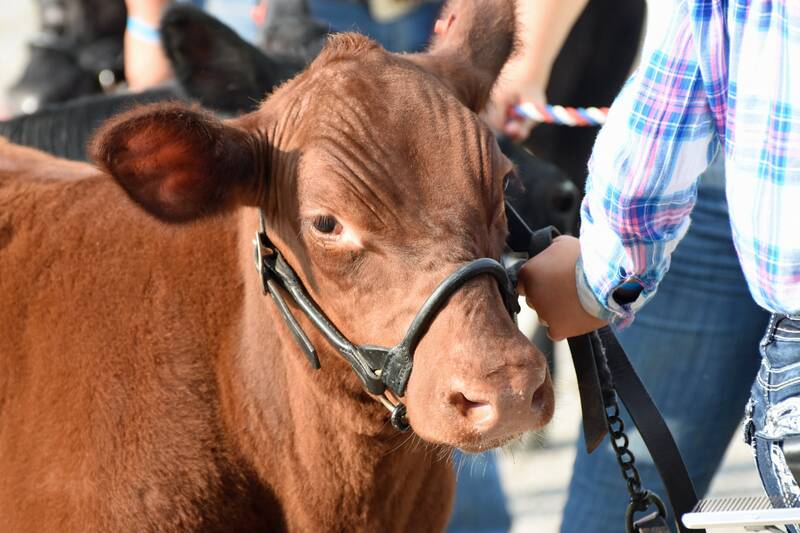 If you were standing in the hot sun, you might have had a furrowed brow as well Tuesday at the Crawford County Fair. Photo by Don Tudor. 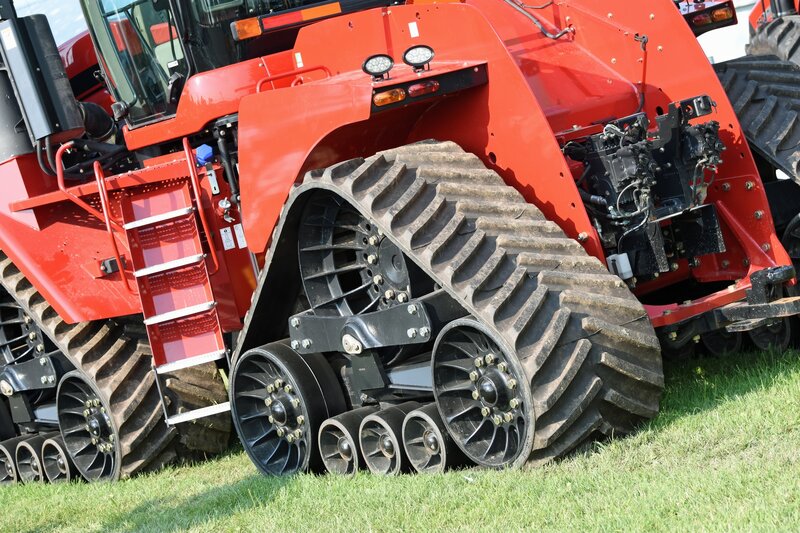 Once again we come to that “one little nibble” question Tuesday at the Crawford County Fair. The deep-fried Oreos are delicious, by the way. Photo by Don Tudor. 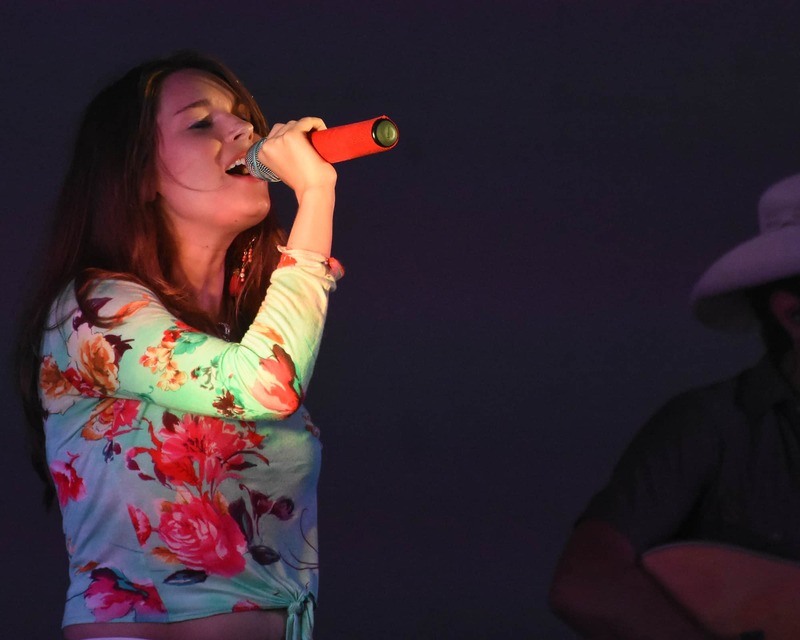 Nashville recording artist Kari Holmes followed Eric Sowers Band Tuesday at the Crawford County Fair. Photo by Don Tudor.